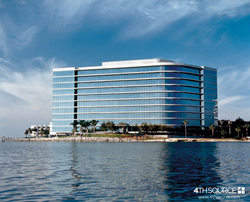 4th Source Inc., a U.S. based nearshore IT services organization, will open a new office in Tampa, Florida in early 2016. 4th Source Inc. Opens Office in Tampa, Fl. Our company is based on technology innovation & ease of proximity for our customers. This office will further emphasize our mission to provide high impact technology solutions through multi-sourcing efficiency - Joe Aschenbrenner, SVP of Service Delivery. 4th Source, a U.S. based nearshore IT services company, continues its rapid growth story with the announcement of a new office in Tampa, Florida. The Tampa office is scheduled to officially open in early 2016. The Tampa office will open with approximately 25 employees, including both new hires as well as current employees who will transfer. It will have a strong executive presence, including the Vice President of HR and the Senior Vice President of Service Delivery. 4th Source projects to hire 50 new employees into the new office in 2016. The official address is 2502 N. Rocky Point Drive, Suite 960, Tampa, FL 33607. Future plans for expansion include the addition of two more nearshore locations in 2016. A variety of factors make Tampa an attractive location for the new 4th Source office. One top reason is the I-4 Expressway that runs between Tampa and Orlando, which has become a hotbed for technology companies. The Tampa location is also a draw for local university talent from strong schools in the Florida area, which 4th Source plans to recruit from. And overall, Tampa is a very desirable city to live and work in, with fantastic weather and a top-ranked airport. It was rated as the 5th best outdoor city in America by Forbes in 2008, undoubtedly due to its proximity to the Florida Gulf and its tropical climate. 4th Source, founded in 2004 by Rick McKay and Mark Molinari, provides a smart solution for the challenging task of IT outsourcing by pairing up U.S. companies with their immediate neighbors in Mexico. The proximity streamlines what used to be a daunting and time-consuming task, allowing U.S. employees to work within the same or nearby time zones rather than halfway across the world. 4th Source was the first U.S. company of its kind to recognize Mexico as a practical alternative to outsourcing across the globe, and has since been recognized 5 times by Inc. 5000 as one of the fastest growing private companies in America.